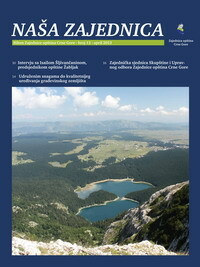 Special attention in this issue of the bulletin is dedicated to the recently signed Agreement on Cooperation of the Parliament and the Union of Municipalities of Montenegro, establishing cooperation between highest legislative and representative body of the citizens and the national association of local governments in Montenegro, and also realized one of the Union’s the priorities for 2016. 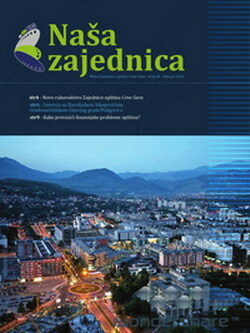 In addition, using the mechanisms of previously signed Agreement on Cooperation between the Government of Montenegro and the Union of Municipalities of Montenegro, in this issue are presented and initiatives to improve the status of local governments submitted by the Union to the Prime Minister. The 20th issue of the Union’s Bulletin “Our Union” is published. The bulletin includes an interview that the editorial board had with Dr. Zoran Srzentic, Mayor of the Municipality of Bar, and the most important information from the Union of Municipalities Executive Board’ s session. Special attention in this issue is dedicated to the Report on the state of local democracy in Montenegro, with recommendations, adopted by the Congress of Local and Regional Authorities of the Council of Europe at the recently held Congress autumn session in Strasbourg. In addition, summarizes the information from the fifth session of the Joint Consultative Committee between Montenegro and the Committee of the Regions, which was held in early November in Cetinje, as well as with a number important international activities in which the Union of Municipalities and its representatives took part. The 19th issue of the Union’s Bulletin “Our Union” is published. 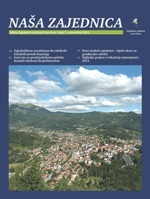 The Bulletin includes an interview that the editorial board had with Mr.Orhan Sahmanovic, Mayor of the municipality of Plav, and the most important information from meetings of the Union’s bodies (the Assembly and the Executive Board) which, among other things, established the basic guidelines for the planned activities of the national association of local governments in Montenegro in the current year. The Bulletin presents the recently adopted Strategy for the professional development of local civil servants and emploees with the Action Plan for its implementation, and an overview of joint activities aimed at consolidation of local public finances. A special attention in the Bulletin is given to the activities that local governments should take in order to higher implementation of the Amending Law on Property Tax and the Law on Communal Police. The 18th issue of the Union’s Bulletin “Our Union” is published. The bulletin focus was on activities in the field of local government financing, and in this light the Proposed measures for overcoming the local government financial problems established by the Union`s Executive Board were presented. The Proposed measures were discussed at the meetings of the Uonion`s bodies as well as at the the meetings held with the relevant ministries on this topic. The amendments on the Bill Amemnding Law on Property Tax were presented in order to create the legal preconditions for a sustainable system of property tax administation, prepared by the Union`s Committee on Local Government Financing and has submitted for consideration to the relevant parliamentary Committee for Economy, Finance and Budget. The municipal`s and the Union`s positions are presented in order to “defense” land development fee as the exclusive source of income for land policies managing at the local level and to introduce new revenue to finance joint consumption communal services through the adoption of the new Law on Communal Services, and to ensure the flow of funds from the legalization of informal buildings fees by adopting the Law on Legalization of Informal Buildings, as well as to establish a “Revolving” Fund for pre-financing of EU projects. November 19th 2014- The 17th issue of the Union’s Bulletin “Our Union” is published. This issue presents information on the last meeting of the Joint Consultative Committee between the European Union and Montenegro in Kotor, where participants encouraged Montenegro’s progress towards the EU and declare intent to support reform momentum. In addition, the main excerpts from the UoM Committee statements on the Draft Law on Administrative Inspection and the Draft Amending Law on Property Tax are presented, whereas, in the light of proposed reforms to land development system an article “Land development – how to proceed” is published. The 12th issue of the Union’s Bulletin “Our Union” is published. An important place in this Bulletin is given to activities of the Union’s working bodies and organs dedicated to more quality solving the issues related to construction land. Readers are informed on numerous sessions of the Union’s Executive Board, Assembly and committees that were held in previous 3 months. 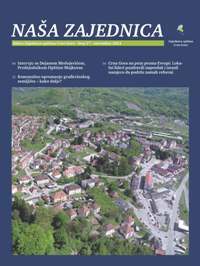 The Bulletin contains an interview with the Mayor of the Municipality of Žabljak, Mr. Isailo Šljivančanin and activities from Montenegrin local self-governments. The Bulletin also presents new regulations related to the official titles of local civil servants and employees. Amendments of the umbrella Law on Local Self-Government are announced. Taking into consideration the strategic development road towards the European Union, “Our Union” starts with this issue to prepare educational articles related to important EU integration topics. A significant attention is given to issues related to the solid waste management. Also, Model of a Harmonized Anti-Corruption Action Plan in a Local Self-Government 2013-2014 is presented. The 11th issue of the Union’s Bulletin “Our Union” has been published. This edition presents: the conclusions from the meeting of the Joint Consultative Board between the EU Committee of Regions and Montenegrin local governments; the conclusions of the International Conference “The Future of Fiscal Decentralization in the SEE”. 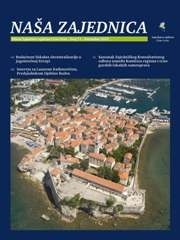 A special attention is given to the interview with the Mayor of Budva, Mr. Lazar Rađenović. 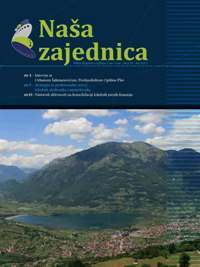 Also, this issue presents the publication “Twinning”, Models of Guidelines through procedures of the Ethical Committees, the Model “Decision on the Organization and Working Method of a Local Administration”, and series of other activities of Montenegrin local governments and their Association. 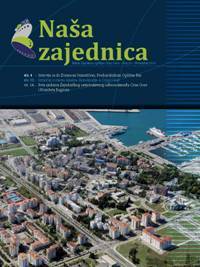 9th edition of the Bulletin of the Union of Municipalities of Montenegro “Our Union” is published. This issue presents some of the activities from the Union’s Working Plan for 2012, general information on the EU Committee of Regions, members of Joint Consultative Board between Montenegro and the EU Committee of Regions. The Bulletin also contains an interview with the Mayor of Podgorica and President of the Union’s Executive Board, Mr. Miomirom Mugoša and some activities from Montenegrin municipalities. 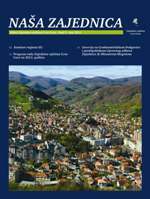 This issue also informs our readers on activities related to the training needs analysis of local civil servants and employees, possible use of the EU founds by local governments, support to design local energy plans and some of activities from the project “Strengthening Mechanisms of Public Finance in Montenegro”. 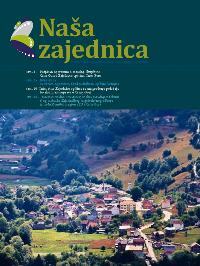 Eight special edition of the Bulletin of the Union of Municipalities of Montenegro “Our Union” is published. 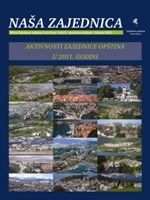 This issue presents some of the most important activities implemented during 2011 by the Union of Municipalities as the National Association of all Montenegrin local authorities. Special attention was given to topics related to advocating for members towards strengthening the local self-government system, local public financing, their transparency and accountability and the EU founded projects implementing by local governments during the year. The Bulletin also contains information on trainings organized for local civil servants and employees during the last year, as well as, on activities on the international level. The seventh issue of the Union’s Bulletin “Our Union” is published. This edition presents: Best Practices in local self-government; Knowledge Center – a new service of the Union of Municipalities; an interview with the Mayor of Kolašin, Mr. Darko Brajušković; activities of the Union of Municipalities related to creation of conditions for sustainable local finances; new Models Ordinances related to provision of legal and institutional framework at local level for the achievement of cooperation with the NGO sector; activities related to preparation of a new Law on Communal Services, and other activities of Montenegrin local authorities and their Association.